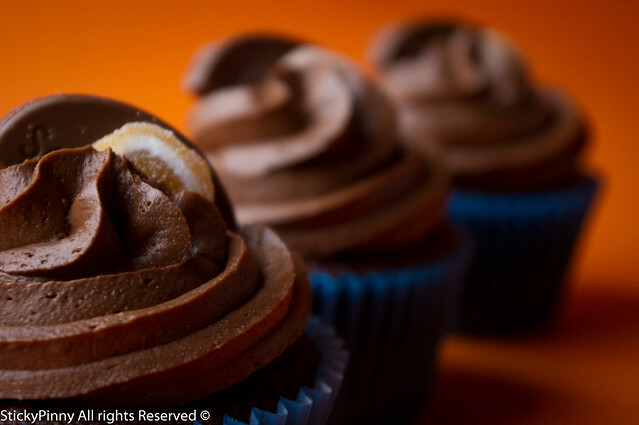 This is one of my standby cupcakes that I make time and time again. 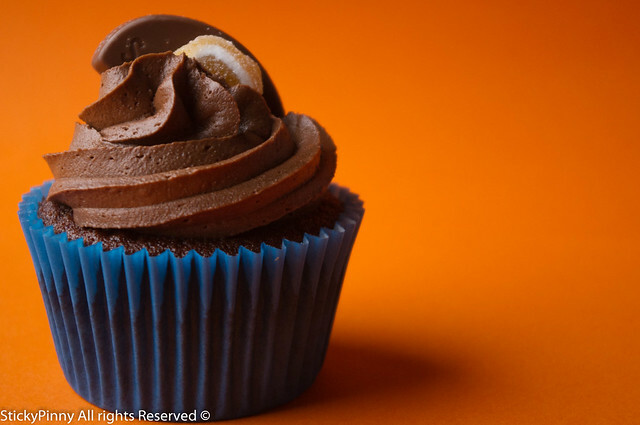 Chocolate and orange, in a cupcake. Winner! Unless you don’t like either – which is just weird? Sometimes I feel that plain old chocolate can be, dare I say it, slightly boring and the hint of orange just adds another dimension. it’s tried and tested and just works!! The smell that comes off them is amazing too. 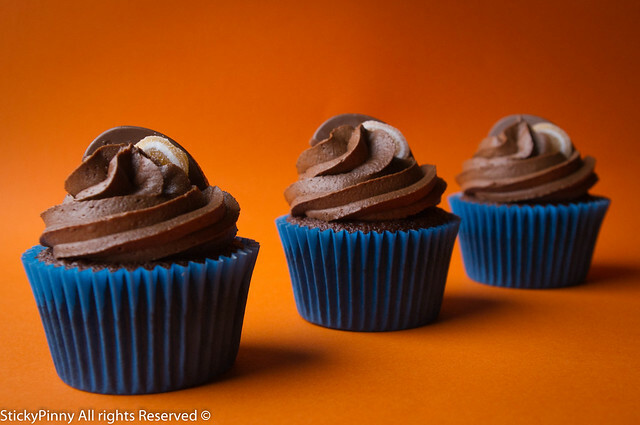 Topped with a chocolate orange segment and then some of those orange jelly decorations I think these look pretty, but not too girly. I made these for a charity bake sale at work along side my creme egg cupcakes and they went down a treat – all had sold out by 10am! The whole bake sale itself raised £676 for Candle Lighters and matched funding means the total is £1352. Brilliant. Give these a go – they’re easy peasy! Glad you enjoyed them! I used some Ateco tips I got from Peter Maturi (869 – openstar, as used in the pictures in this post, 829 – french star, as used on the minis you had at DATM, and 809 – plain nozzle) They are just sold loose and will be the biggest ones they have on display. I did buy them a while back though so hopefully they should still stock them? People talk about the Wilton 1M but I find them too small. You should get about 13-15 standard sized and up to 50 minis? Sainsburys have some 24 bun mini trays at the mo for about £5 each!